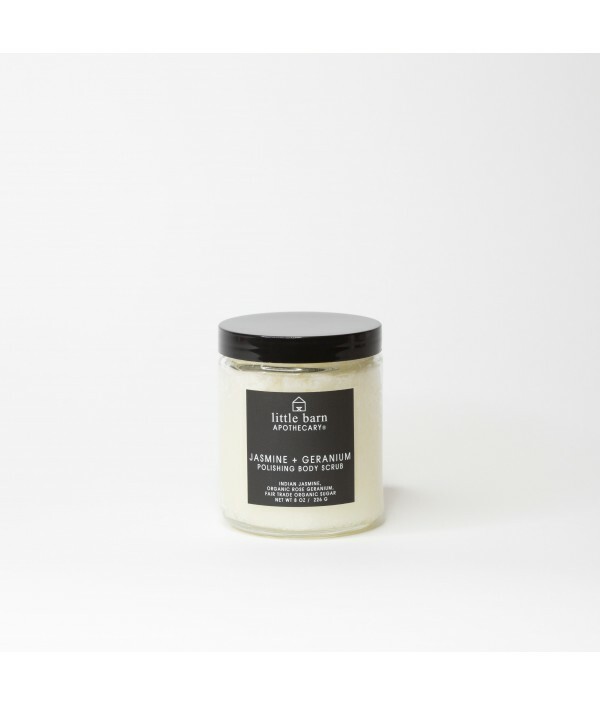 Little Barn Apothecary was created in 2015 by founders Brad Scoggins and Joshua Morgan out of a shared passion for all things natural, holistic, and simple. Prior to LBA, Joshua spent 16 years working as an executive in the luxury beauty and spa industry in cities all over the country. Brad, a former biology student, grew up in the small farming town of Cordele, Georgia and holds a background in hospitality, marketing, and brand management. Little Barn was born out of a melding of these two backgrounds, small-town and metropolitan, beauty and biology, and a desire to create an alternative to the chemical-laden self-care products that flood today’s market. What began as an at-home kitchen experiment to find a natural, homemade remedy for symptoms of psoriasis soon turned into the Lavender and Frankincense Original Oil, LBA’s very first product. After sharing the formula with family and friends, the pair was met with enthusiastic requests for more and the idea to turn their at-home passion project into a full-fledged business was sparked. Little Barn was officially debuted to the public as a line of core products in January 2015 and has grown rapidly since. Warehouse, marketing, and sales teams were added to the mix to help keep up with the brand’s growing demand, but the process and philosophy behind Little Barn remains constant. Each botanical ingredient is carefully hand selected by Joshua and Brad for its natural healing property and intention. 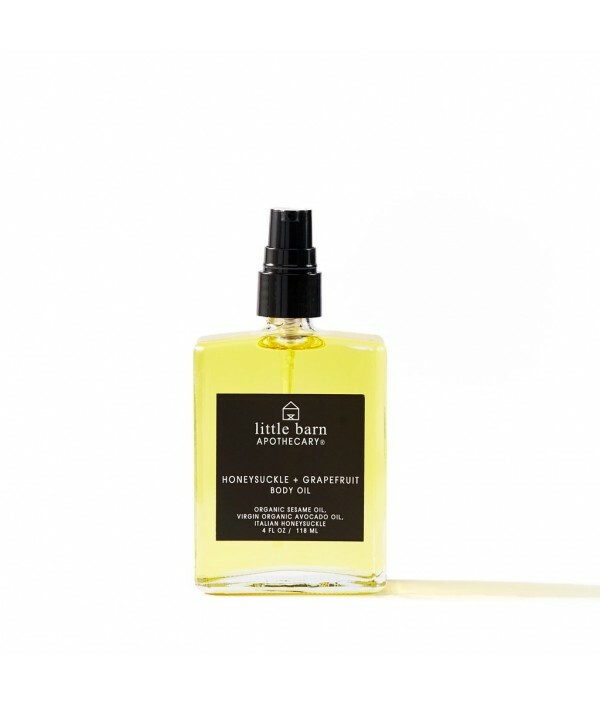 Every product is crafted in small-batch apothecary tradition with recycled glass bottles and minimal packaging. Transparency persists as a core value of the brand and every ingredient and its purpose will always be communicated so you can trust that what you’re putting on your skin is safe, ethical, and completely and wholly good for you. 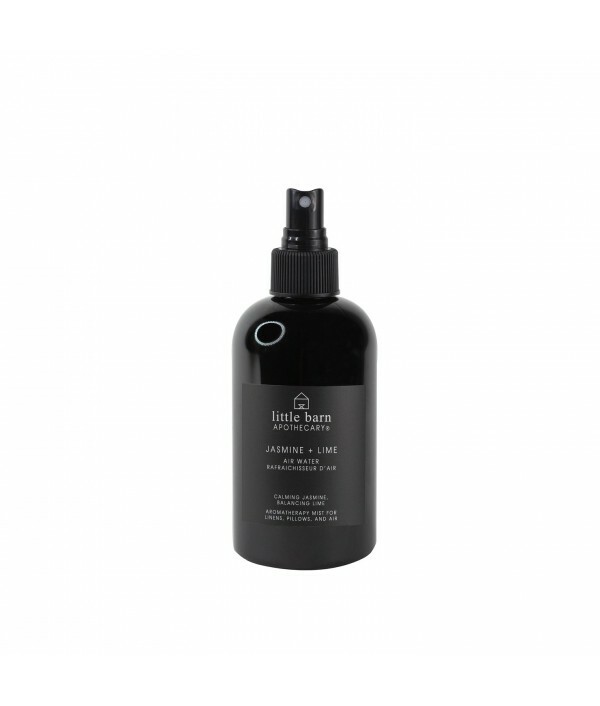 Lightly hydrating organic face toner with skin balancing properties. 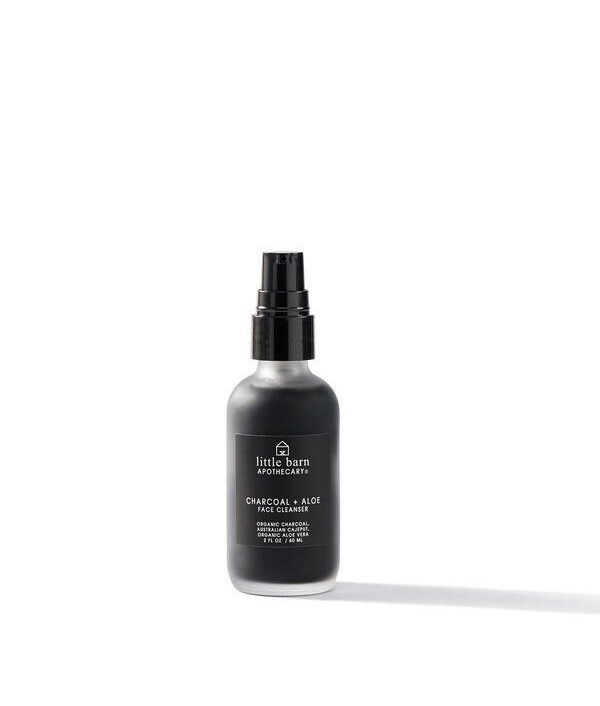 Formulated to balance pH post cleansing and as a precursor to face oils and serums. Replenishing, hydrating, and nourishing. 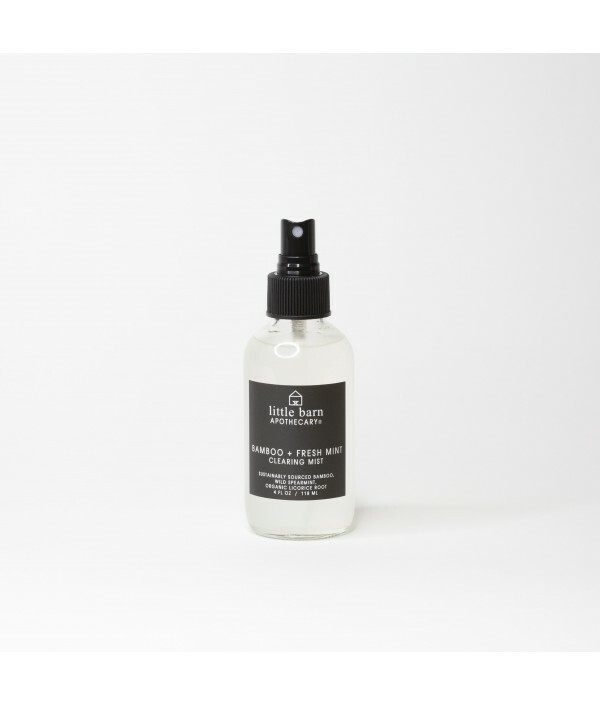 Formulated for all skin types, this mist contains ..
Instantly cooling and hydrating post sun mineral body mist. 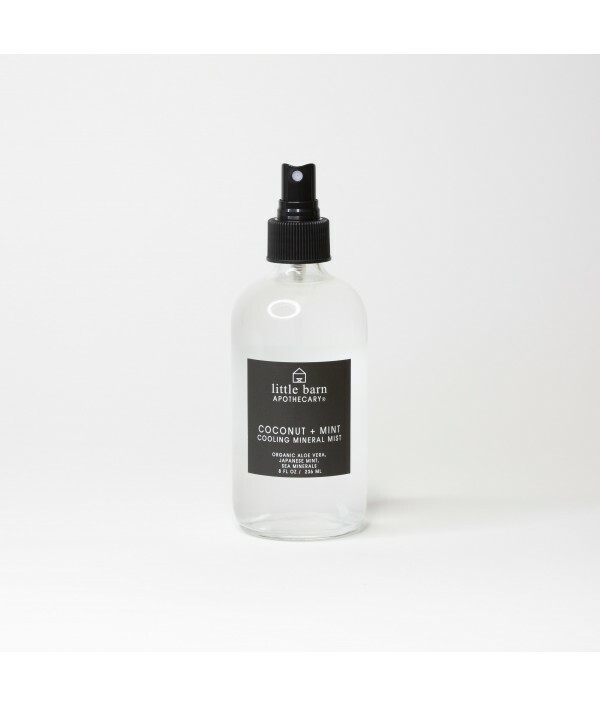 Nourishing body mist with fresh virgin coconut, pure organic aloe water, rich ocean minerals, and cooling mint. 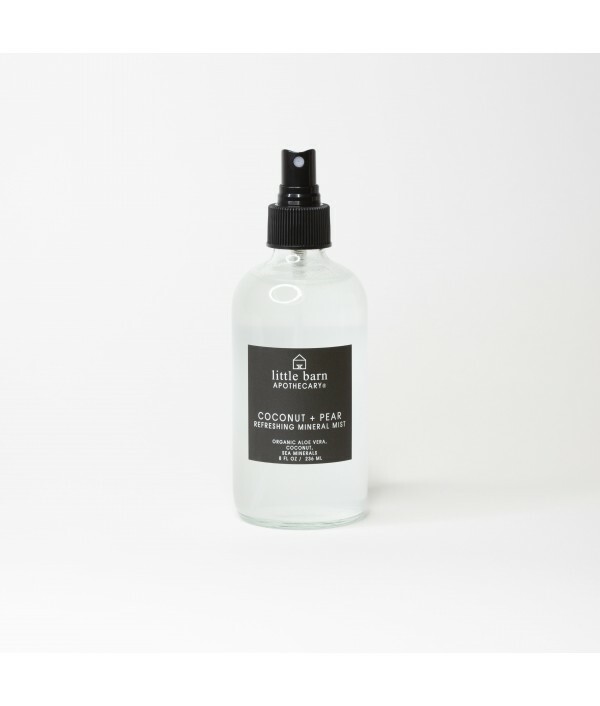 This unique combination provides the skin with instant cooling and soothing hy..
Instantly refreshing and hydrating, post sun mineral body mist. Replenishing and nourishing with fresh virgin coconut, pure organic aloe water, rich ocean minerals, and refreshing pear. This unique combination provides the skin with instant refreshme..